Josh Davis - The Pincher Creek and District Historical Society recently unveiled their plans to co-ordinate a Pincher Creek walking tour. Businesses will have displays placed in their windows, detailing the history of the businesses which predate them at their location. Sifting through old photographs, and working in conjunction with local businesses, the society has identified thirty-four sites on the tour, from the old Pincher Creek Echo office to the Multi-Purpose Facility (Pool). However, this is subject to change, as the society hopes to add more sites as the project continues and they gather information. The project, which the historical society started working on seven years ago, is currently planned to coincide with the arrival of Communities In Bloom judges Evelyn Alemanni and Gaétan Deschênes. They who are scheduled to evaluate Pincher Creek on July 25 as part of the Communities in Bloom International Challenge - Small Category. Curator Farley Wuth called this a "long term, permanent project," saying it could generate interest in downtown Pincher Creek. He hopes to include more businesses and integrate QR codes in the future. The unveiling is intended to line up with the 50th anniversary of the Pincher Creek and District Historical Society. The Pincher Creek Historical Society is still gathering information and photographs. 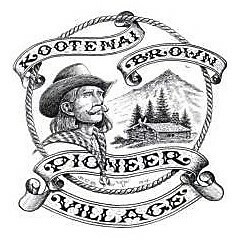 If anybody wishes to submit them, they can contact them at 403-627-3684, by email at fswuth.kbpv@gmail.com, or in person at the Kootenai Brown Pioneer Village.